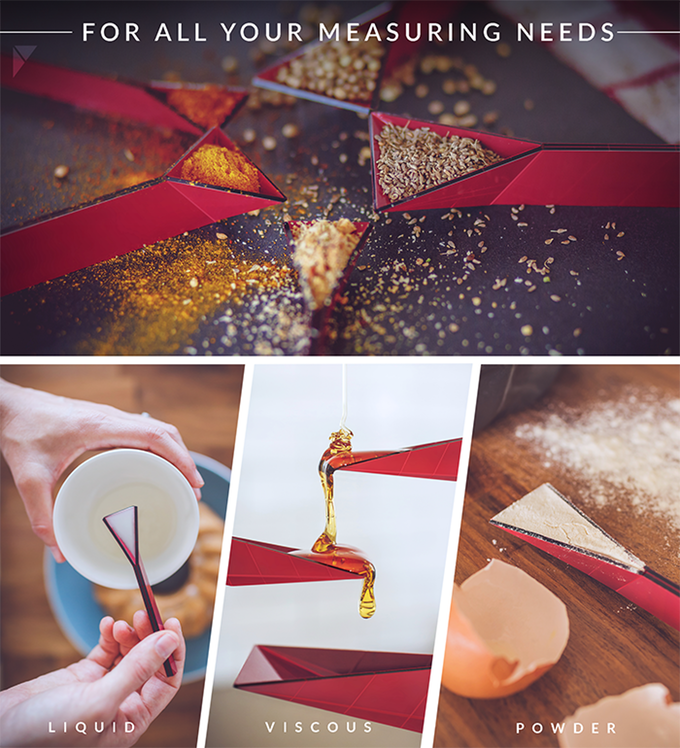 A single piece of inexpensive, durable polypropylene folds into various volumes of measurement depending on the way you hold it. 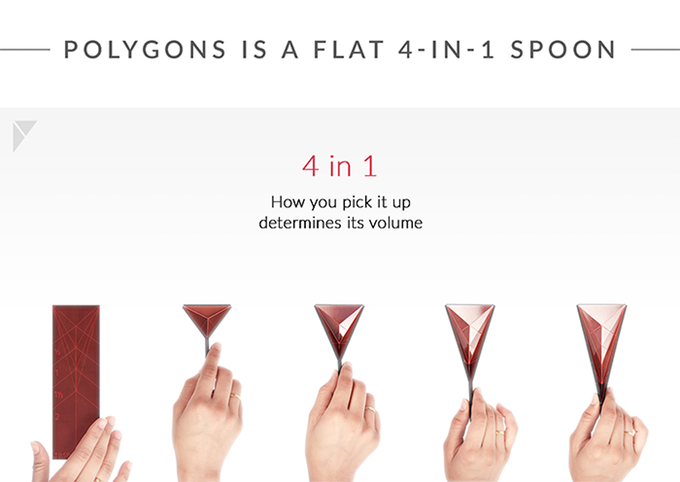 The Polygons Measuring Spoon by Rahul Agarwal employs biomimicry to shift into spoons in a range of sizes, inspired by the way the carrying capacity of the human hand changes based on the way it’s cupped and angled. 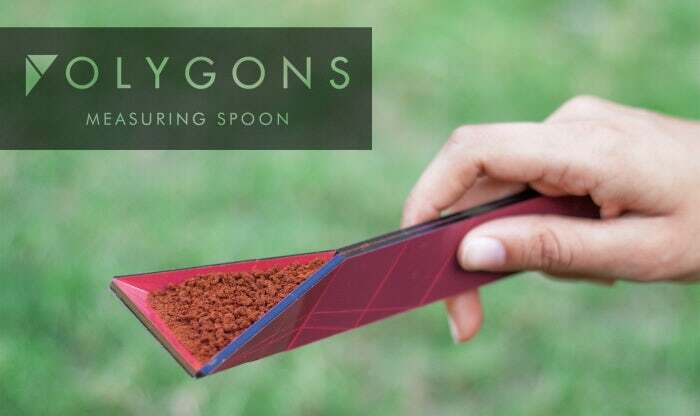 The flat piece of polypropylene is scored with live hinges, so the measurement – ranging from half a teaspoon to two tablespoons – changes based on which joint you use to pick it up. Figuring out how to hold it according to how much you need will become second nature soon enough, but during the learning process it’s like challenging yourself to a beginner-level geometry problem. Not only does this cut back on material usage, reducing an entire set of measuring spoons down to a single piece of plastic, it also reduces waste when cooking since the flat surface can be used to scrape the last bits into a bowl. The all-in-one, origami-inspired device would also be a great item to have on hand when traveling or camping. Wondering just how well this multipurpose kitchen tool works? Core77 got their hands on one to try it out. Find out how that went at Core77.com.